If achieving no-kill is likened to an Olympic moment then sustaining no-kill is a marathon. Ending killing as a method to control pet overpopulation requires the involvement of an entire community. We are all responsible for its use, and we can all play a role in its abolition. For instance, landlords can play an important role in attaining and sustaining a no-kill status. According to a report issued by The Foundation for Interdisciplinary Research and Education Promoting Animal Welfare, 50 percent of all rentals nationally prohibit pets. Pet-forbidding landlords should consider these findings: 35 percent of tenants without pets would own a pet if their landlord permitted; tenants in pet-friendly housing stay an average of 46 months compared to 18 months for tenants in rentals prohibiting pets; the vacancy rate for pet-friendly housing is lower (10 percent) than “no pets allowed” rentals (14 percent); and 25 percent of applicants inquiring about rentals in non-pet-friendly housing are seeking pet-friendly rentals. According to economic theory, in perfectly functioning markets (where people make rational, profit-maximizing decisions, with full information and no significant transaction costs), pet-friendly housing should be available to renters willing to pay a premium to cover any extra costs to landlords. So, why do so many landlords overlook opportunities to increase profits by providing pet-friendly housing? With nearly half of American households having companion animals and more than half of renters who do not have pets reporting they would have pets if allowed, why are there so few pet-friendly rental units available? Well, among landlords who do not allow pets, damage was the greatest concern (64.7 percent), followed by noise (52.9 percent), complaints/tenant conflicts (41.2 percent) and insurance issues (41.2 percent). Concerns about people leaving their pet or not cleaning common areas were rarely cited (5.9 percent). Although 85 percent of landlords permitting pets reported pet-related damage at some time, the worst damage averaged only $430. This is less than the typical rent or pet deposit. In these cases, landlords could subtract the damage from a pet deposit and experience no real loss. In fact, the report finds landlords experience no substantive loss with little difference in damage between tenants with and without pets. Other pet-related issues (e.g., noise, tenant conflicts concerning animals or common area upkeep) required less than one hour per year of landlord time. This is less time than landlords spend for child-related problems and other issues. Whatever time landlords spend addressing pet-related problems is offset by spending less marketing time on pet-friendly units by a margin of eight hours per unit. The study finds problems from allowing pets to be minimal, and benefits outweigh the problems. Landlords stand to profit from allowing pets because, on average, tenants with pets are willing and able to pay more for the ability to live with their pets. Animal shelters across the United States are experiencing a huge increase in the number of pets surrendered because of the housing crisis. Imagine if all landlords permitted pets. That would create a demand far greater than the number of pets dying in our shelters, allowing our communities to end pet euthanasia to control pet overpopulation altogether. Landlords are hearing from their own colleagues and professional journals that permitting pets makes good business sense. Many landlords may be overlooking a significant, low-risk opportunity to increase revenue, tenant pools and market size just by allowing pets. 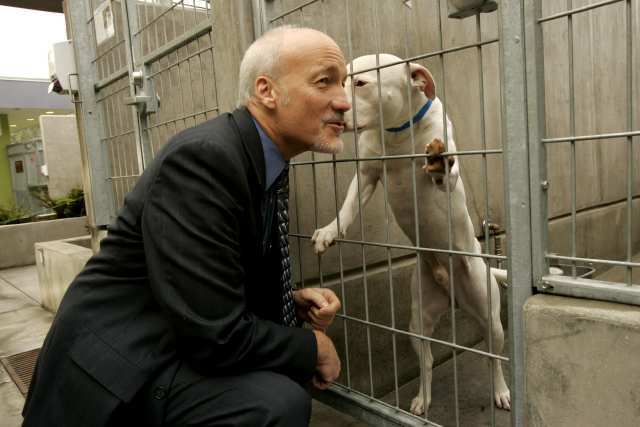 Certainly, the benefits to the homeless pets who are dying for the lack of a home each year cannot be overstated. Landlords can make a profitable, life-saving choice simply by permitting pets.